ISO released the 2016 version of the popularAutodesk Maya for MacOSX. 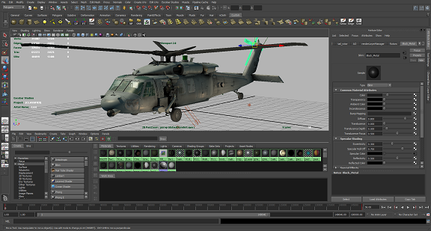 Description: Maya® 3D animation, modeling, simulation, rendering, and compositing software offers a comprehensive creative feature set for 3D computer animation, modeling, simulation, and rendering on a highly extensible production platform. Maya provides high-end character and effects toolsets along with increased productivity for modeling, texturing, and shader creation tasks. Create photorealistic, dynamic simulation and rendering of liquids. Generate curves, spheres, and custom geometry on the surface of polygon meshes to create fur, feathers, foliage, and more. Create large-scale, highly realistic dynamic and kinematic simulations with the enhanced open-source Bullet plug-in delivered in conjunction with AMD. Simulate and render highly realistic atmospheric, explosive, viscous liquid, and open water effects. Feel free to post your AUTODESK MAYA V2016 MACOSX-XFORCE torrent, subtitles, samples, free download, quality, NFO, rapidshare, depositfiles, uploaded.net, rapidgator, filefactory, netload, crack, serial, keygen, requirements or whatever-related comments here. Don't be rude (permban), use only English, don't go offtopic and read FAQ before asking a question. Owners of this website aren't responsible for content of comments.